Full service law firm, Browne Jacobson, is investing in business management system LexisOne from LexisNexis Enterprise Solutions as its core technology platform to enable the firm to operate successfully in an ever-changing legal market. LexisOne will replace multiple business systems offering Browne Jacobson a fully integrated suite of applications including time, travel and expense processing, billing, procurement, sales, purchase, general ledger and legal accounting, asset management and human resource management. The solution will be used by over 700 employees including nearly 100 partners, across Browne Jacobson’s five offices in Birmingham, Exeter, London, Manchester and Nottingham. Following a rigorous selection process, Browne Jacobson chose LexisOne for its enterprise resource planning capability that is beyond the scope of traditional practice management systems. 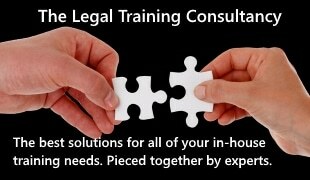 The solution is designed for the legal sector, delivering against law firms’ requirements at the legal and business level. LexisOne is built on the enterprise-grade Microsoft Dynamics AX platform, giving it a well-defined road map for the future. Paul Harrison, director of finance at Browne Jacobson, explained: “We need to replace our current system, which we have outgrown in terms of both size and complexity. 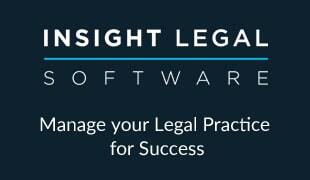 LexisOne offers something unique in the legal market; a legal practice management system based on a single and powerful resource planning and accounting platform, Microsoft Dynamics AX. LexisOne will create a business environment that will enable Browne Jacobson to deliver an optimised service and a distinctive client experience to customers. The solution will seamlessly integrate with Lexis InterAction, Browne Jacobson’s CRM system, and with its case management system Lexis Visualfiles; enabling business development, customer engagement and operations to be streamlined across the firm. LexisOne will also make the firm a great place to work by providing employees with the tools they need to be effective. Cumulatively, all this will contribute towards a highly efficient business operation and profitability. Through eliminating the need for multiple technology systems, LexisOne will significantly reduce the cost of ownership of technology at Browne Jacobson as well as the complexity of its maintenance. LexisNexis will drive the implementation of LexisOne at Browne Jacobson with the support of Hitachi Solutions, the company’s global deployment partner for large scale projects. Microsoft Dynamics AX Partner of the Year for 2014, Hitachi Solutions, has extensive experience and expertise in delivering Dynamics AX projects to professional services firms worldwide. “LexisOne offers the enterprise-grade, commercial capabilities that modern law firms need to thrive in today’s changing legal marketplace,” commented Andy Sparkes, general manager, LexisNexis Enterprise Solutions. “The business capabilities that LexisOne provides, alongside real-time visibility of business health metrics to underpin decision-making, will offer tremendous flexibility to Browne Jacobson. It provides a platform that will enable the firm to continuously create efficiencies, devise new ways of working and ensure competitive advantage, both today and in the future. LexisOne is an enterprise-grade business management solution for law firms, which goes beyond traditional practice management. LexisOne helps firms proactively manage costs, improve control, make informed decisions and optimise resources to deliver greater value to clients.